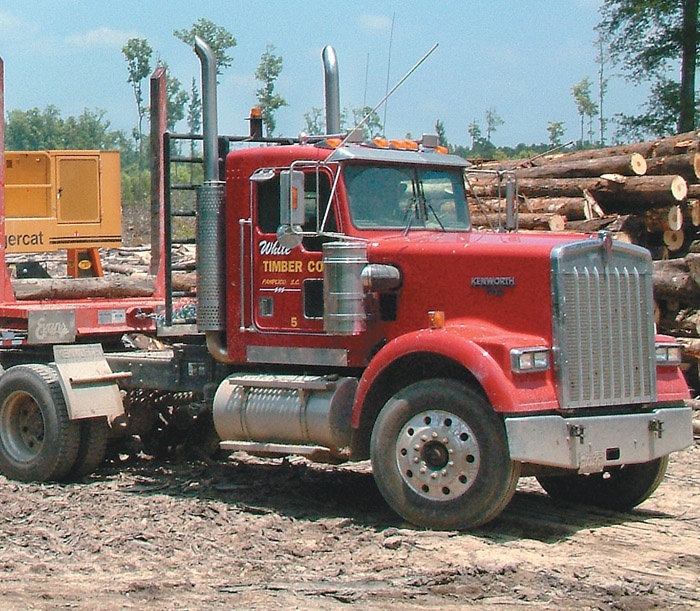 Timber Harvesting’s July/August issue spotlights a forestland transition analysis; in the last decade, more than 11 million acres of U.S. forestland have changed hands as industrial owners shed or develop acreage to pay down debt and focus on new priorities. Also featured are Oregon’s Card Logging Co., where owner Tim Card purchased 9MMBF federal sale and has watched his responsibilities grow, and South Carolina’s White Timber Co., a family enterprise that includes a logging crew and a sawmill. 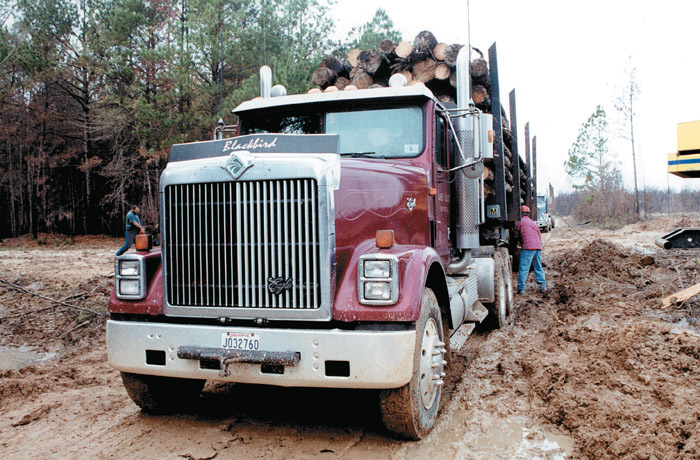 An article discusses how, more than ever, maintenance is a key weapon in the logger’s battle to maximize efficiency. 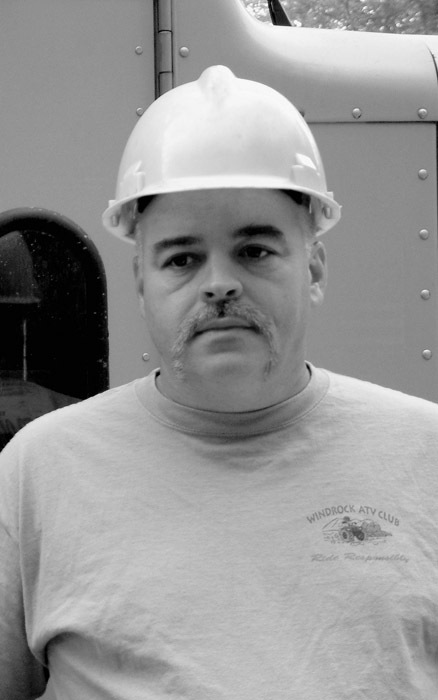 Mooney’s Corner focuses on trucking and maneuvering around pitfalls. Talk about transforming a logging company overnight: Last year, Card Logging Co. was bumping along industry’s highs and lows—mostly low at the time. “Over the past few years I had looked at some of these federal timber sales and thought about trying to buy them,” owner Tim Card remembers. Mechanical aptitude is a time honored tradition passed down from fathers to sons (and daughters). 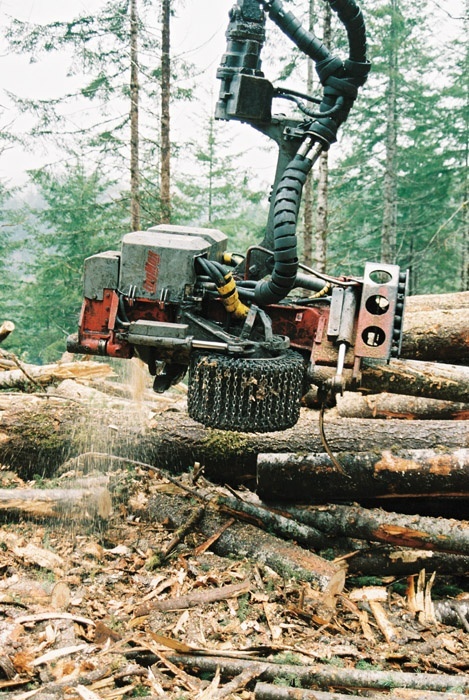 And while mechanical skills have always been a vital component of the logging operation, they have become more crucial than ever. With fuel prices at a lofty level and other related costs up as well, improving trucking efficiency is more important than ever. How do you know when you have hit your best trucking stride? It’s when you’re hauling the top payload, within legal weight limits, for the lowest cost you can manage. Trailer tail lights disappear around a curve as a load of hardwood logs begins its journey to the family sawmill. 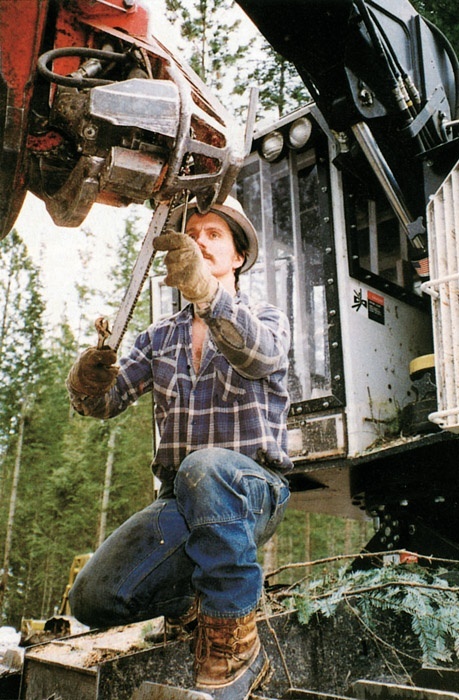 Back at the site, a loader operator continues his daily grind, trimming pulpwood into lengths while awaiting the next trailer. 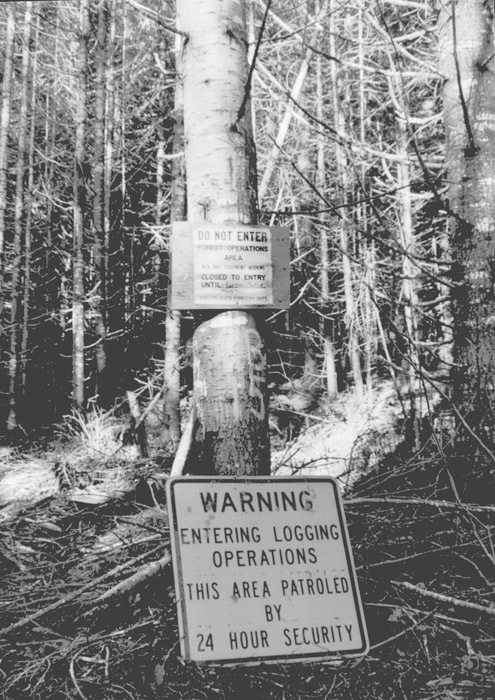 The coming of summer and “protest season” always brings out the forest radicals, and this year is no different, especially in south central Oregon, where two logging contractors on the same federal timber sale in the Malheur National Forest were hit within a month. Two years ago Futurewood Corp., the timber and procurement arm of Johnson Timber Corp. in Hayward, Wis., set up a gatewood system of accountability, using the same criteria that it applies to timber harvested under its own control. 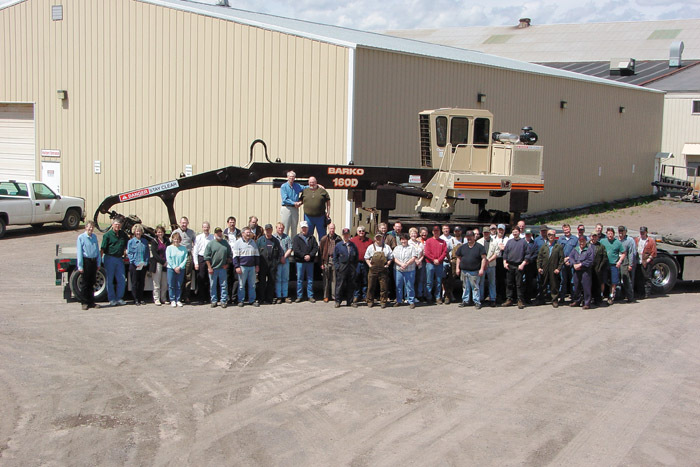 Employees of Barko Hydraulics LLC, Superior, Wis., pause to mark the assembly of the last of Barko’s popular model 160 knuckleboom loader series. In background are Dennis Healy, left, Barko’s recently retired Marketing Manager, and Dennis (Red) Williams, who also recently retired after 36 years of service in the company’s hydraulic tubing department. We get our fuel in bulk from a Texaco distributor, but if their prices get out of line, I get on the phone (to other sources). Gas prices in this area are fluctuating. When I’m ready to buy, that phone can save me some money. I definitely shop around. Tigercat has unveiled the new 726D feller-buncher, best suited to final felling in oversized wood, natural stands and rugged terrain applications. 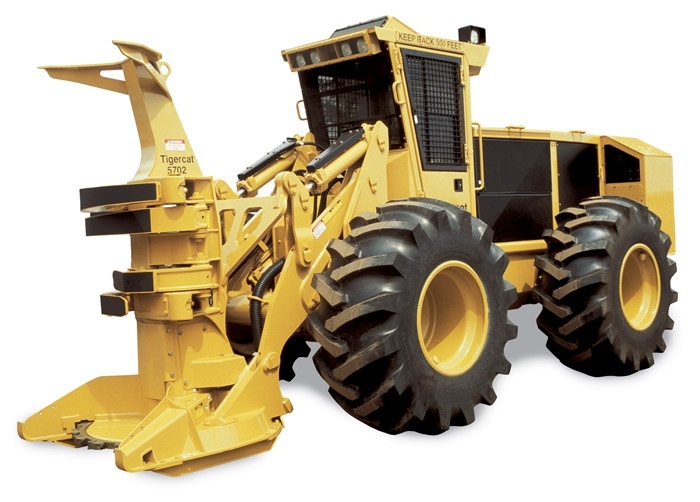 It will also be configured as a mulcher carrier (to be designated as the M726D) to complement the larger Tigercat M760 mulcher. 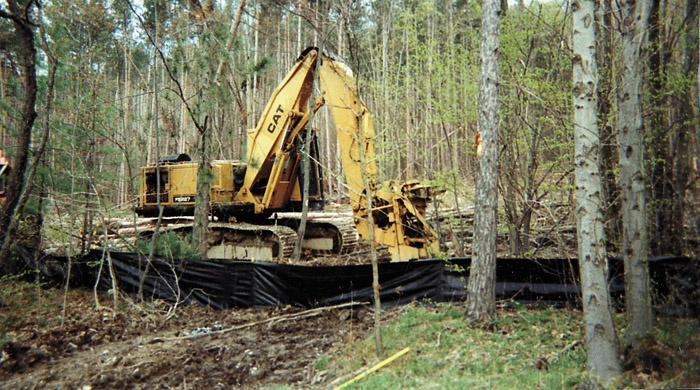 Wolcott, NY logger Blaine Shove informs Timber Harvesting that his “best machine ever” is this 1990 Cat 227 fitted with a 28 inch Timbco head. Shove says he bought the machine new and that it has rolled up 16,000 hours while requiring incredibly few repairs.